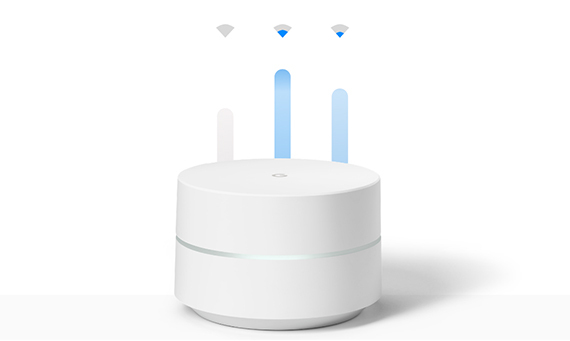 The Google WiFi is the most popular dual-band WiFi system (to date) which has allowed the multinational technology corporation to gain more ground in the incredibly competitive networking market. As you may know, besides being the creator of the most used search engine on the planet, Google also dominates a large portion of the mobile world with its Android OS and it has tried its hands at building some physical products, such as the Nexus series and the latest Google Pixel (creating a very troublesome relationship with its partners), but also some new type of laptops, the Chromebooks. Its first attempt at creating a networking product, took the form of the Google OnHub (two separate devices, one built by partnering up with TP-Link, the other with Asus), but, despite carrying a big name, these devices did not really manage to outshine their competitors. 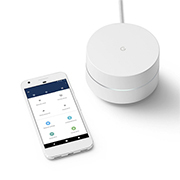 Things have definitely changed for the better after Google entered the wireless mesh system market with its Google WiFi, a device which directly challenged the other mesh systems from Ubiquiti, Luma or Eero in both design and functionality. 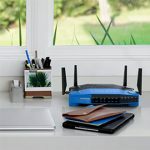 At the same time, Linksys and Netgear ‘intervened’ with their own wireless systems (at the prospect of losing influence) and gave us the Velop and the Orbi, both tri-band WiFi systems that managed to deliver a spectacular wireless performance (there’s also the recently released tri-band Eero second generation). The big advantages that Google had (and still has) was that it’s a high-level company that could easily outperform its competitors in terms of marketing, but also by using aggressive price tags. At the same time, Google also faces a big disadvantage that some other manufacturers do not: simply put, people fear that Google may have no restraint on collecting and using their personal data. Similarly to Microsoft and Facebook, Google has become too big and has a history of pushing the boundaries of user privacy, so it does not comes as a surprise that people were a bit skeptical when dealing with any products that come from these big companies. 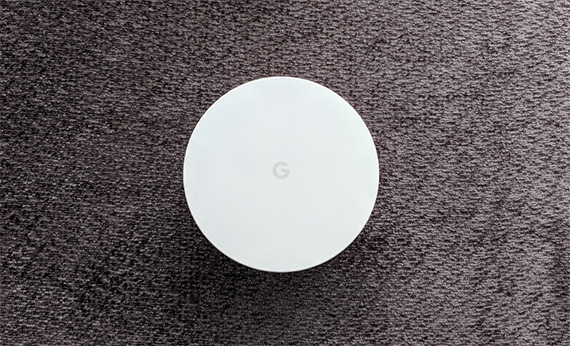 Update: Considering that about two years have already passed since its release, I decided to retest the Google WiFi system and see if its popularity is still justified in 2019 and if there aren’t any other better alternatives available on the market. 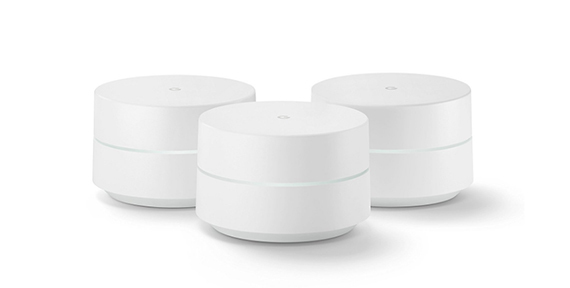 The Google WiFi comes as a single unit or as a three-units kit, all three devices being identical (this is something common with all the other wireless mesh systems). 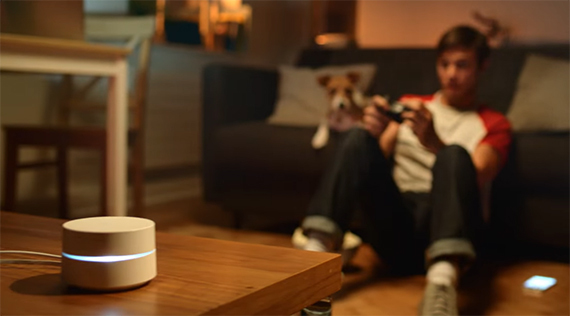 While the Linksys Velop and the Netgear Orbi featured some relatively large, but simple units with a minimalistic approach, the Google WiFi took the same route as Eero and Luma and created smaller devices which can be easily placed anywhere in the house. 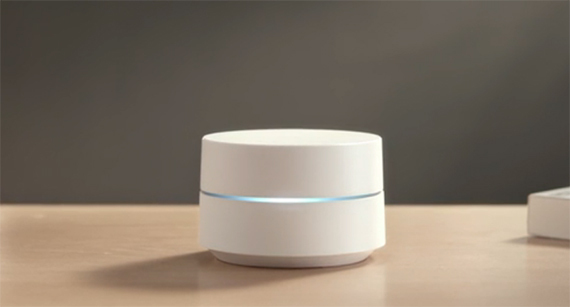 A single Google WiFi router (also called Point) features a small white cylindrical case, covered by a white matte finish and with a narrow canal halving the body horizontally in two pieces to make way for the LED indicator. Every Google WiFi point is well built and feels sturdy, but, surprisingly there aren’t many elements to reveal that we’re dealing with a networking device. 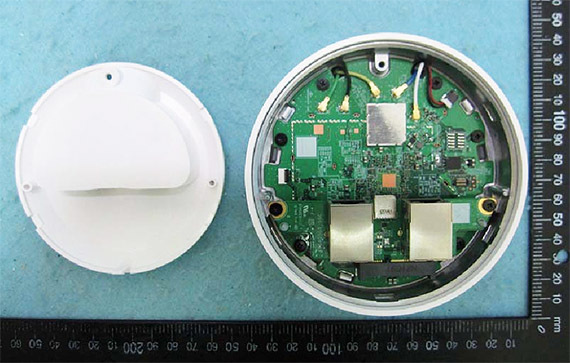 That’s right, the Google WiFi isn’t much larger than a face cream recipient (and you could easily mistake it for one), measuring no more than 4.17 x 2.70 inches and weighing about 12 ounces. 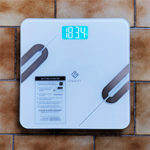 Usually, such a lightweight device would raise some concerns about the stability, but, unlike the Linksys Velop and Netgear Orbi, you don’t have to worry about accidentally hitting any unit off the table, simply because they’re not tall enough, so the weight is more distributed. There are some elements (or better said, lack of) that could draw some criticism: I could not find any relevant cut-out or vent holes to indicate a proper airflow, therefore making the Google WiFi routers prone to overheating. Since these type of devices often rely on passive cooling, it is very important to allow the heat to dissipate (usually, through vent grills or holes) and so far, I have noticed that the units get slightly warm while plugged in, but they didn’t overheated so far (that could change with age). 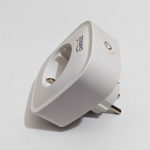 Because of the nature of the Google WiFi, you can neither mount it on the wall, nor on the ceiling, but, you do get the advantage (that many router do not offer) of being able to position any WiFi point anywhere in your home without worrying about space or if it will fit with the furniture without affecting the overall look of the room (since these devices are unobtrusive). 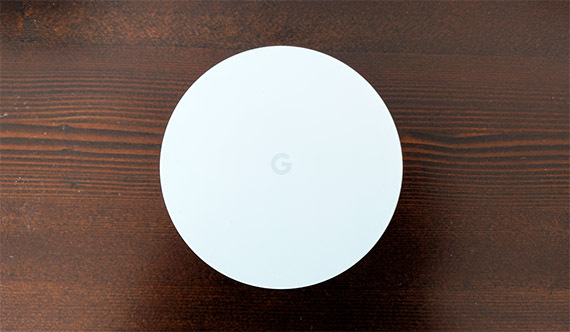 I won’t under-evaluate the aesthetic value of the Eero, Luma, Linksys Velop or Netgear Orbi but, from my point of view, the Google WiFi is the better looking and the most elegant wireless mesh system on the market at this moment (and this remains true even in 2019). As I mentioned before, cutting through the middle of the case, there’s a single narrow LED indicator which shows the status of the network using different colours: if the LED light is solid greenish-blue, then the WiFi unit is registered and everything works properly, otherwise, if the LED flashes a blue colour, then the point is either downloading an update or is ready for setup; if the LED is solid blue, then the system is returning to factory default settings (the process can take up to 5 minutes). Lastly, if the LED is flashing an amber colour, the WiFi point isn’t connected to the Internet, otherwise, if the LED is flashing a red colour, then the WiFi point is experiencing an error (if the problem persists, you should contact the manufacturer). One of the first routers to have adopted the single LED approach was also created by Google (the OnHub) and, while it definitely adds some aesthetic value to the device, I see no real advantage over the traditional array of LEDS, since it’s not an intuitive system and you may need a note with what the colours mean in order to actually understand the current system status. The LED indicator doesn’t really go all around the device, the continuity being broken by a simple white button which has the role of resetting the WiFi point to factory default settings (first, you need to unplug the unit from power, press and hold the button and, while pressing, reconnect the WiFi point to the power source and keep the button pressed for about 10 seconds until the LED flashes blue). 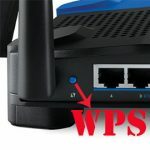 If you turn any WiFi point upside-down, you’ll notice the two circular feet that keep the device from budging and a large carved-in area which gives you access to a couple of Gigabit Ethernet ports (the main WiFi spot will use one of the ports to connect to the Internet and the other as a LAN port; the secondary Google WiFi units will use the two ports as LAN ports) and a USB-C port (for powering up the unit). Also, on the bottom of the device, you can find written the Setup network, Setup code, Serial Number and MAC address. 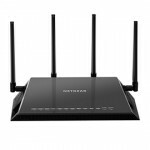 Note: Inside the package (for the three pack system), you can find the three WiFi points, three power adapters, a Quick Start Guide and a 16.5 feet Ethernet cable. From the internal hardware point of view, nothing has changed, so, inside every WiFi point, you can find a Qualcomm Atheros IPQ4019 chipset (quad-core ARM Cortex-M0 processor), an Infineon Trusted Platform Module STM9615 controller, a Qualcomm Atheros QCA8075 Gigabit Switch, 512MB of RAM and 4GB eMMC flash memory / 4MB Winbond 25Q64FV. 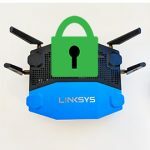 Furthermore, the 2.4GHz radio uses the Qualcomm Atheros IPQ4019 chip, along with the Skyworks SKY8530 front end module, while the 5GHz radio band also uses the Qualcomm Atheros IPQ4019 chipset, along with a Skyworks SKY85717-11 highly integrated front-end module. 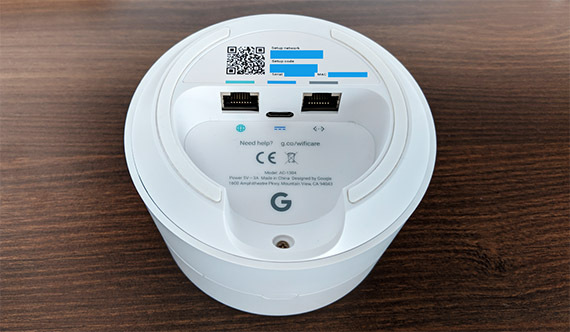 The Google WiFi is also equipped with the ZigBee technology (Silicon Labs EM3581 Thread SoC) and with the Bluetooth 4.2 wireless technology standard (part of the CSR102x family). 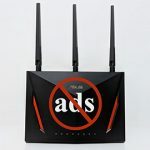 A single Google WiFi unit is advertised as being part of the AC1200 2×2 Wave 2 Wi-Fi class routers, so, using the 2.4GHz radio band, the maximum theoretical data transfer is 300 Mbps and, using the 5GHz radio band, the maximum theoretical data transfer is 867 Mbps (the most honest advertisement so far, since the other manufacturers usually inflate the number a lot higher even though most other high-end wireless systems will also behave as AC1200 class routers using the usual devices available on the market). The advantage of using a mesh system is that it has some unique properties that a traditional system lacks (don’t forget that we are still dealing with a proprietary implementation of this tech). First of all, depending on the signal strength, the used channels, the number of connected clients and distance, each node can connect to any other node in order to search for the best route for the data and to reduce any possible latency. Secondly, one of the most interesting properties is the ability to heal the network in case a mesh node (router) goes offline by re-scanning any nearby nodes and re-routing the data through the best possible path so you won’t experience any downtime or disconnects. Furthermore, with every added node, the system expands the network and it changes the current routes into better ones for the sent and received data (the non-proprietary technology could also add more than one Internet sources to a single network). All these are the main advantages, but there are also some disadvantages and the most important of all are the latency and the backhaul traffic handling. This problem gets a lot clearer when we’re dealing with one-radio systems, where, as you add an extender, you get less bandwidth for data transfer because a large portion has to be kept for the backhaul traffic. The Google WiFi has the advantage of using two radio bands for both the mesh-backhaul traffic and the clients, but it does suffer from the same issue as you add more clients and more nodes. Of course, a tri-band approach with a dedicated radio is the best solution so far. 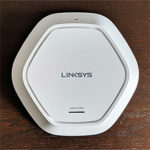 The Linksys Velop is a tri-band wireless system, so it will handle things a lot better, but it has not dedicated a radio for the backhaul traffic and the best tri-band WiFi systems to use a dedicated radio for backhaul are Netgear Orbi and the Zyxel Multy X, the former being able to outperform most, if not all other systems. 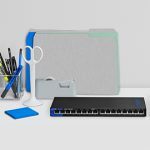 Unfortunately, the Netgear Orbi will not provide the advantages of a mesh system, since it uses a main router unit + satellite extenders setup instead (but it is a good alternative to keep in mind). Similarly to the Velop, the Google WiFi radio’s bandwidth is being shared by the backhaul traffic and by the clients, but since it’s not a tri-band system, the wireless performance can suffer a bit. 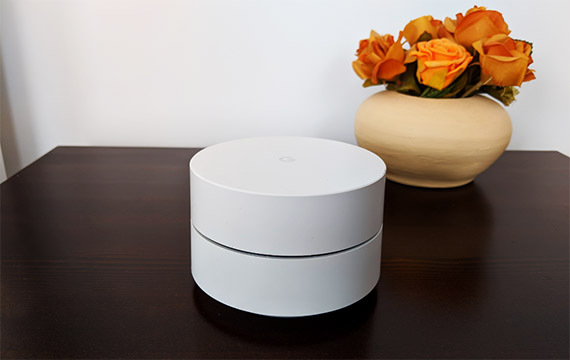 One approach that can be used by both the Google WiFi and by the Velop to maintain a more stable and high performing system is the Ethernet backhaul. Of course that this pretty much negates the purpose of this product, but, if you aren’t bothered by cables running in your home, you will get more bandwidth for your clients and it allows more Google WiFi points to be added to the network. 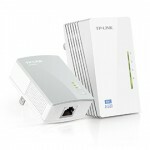 The features that set apart some of the newer wireless systems are the tri-band and the MU-MIMO technologies. As we saw before, the Google WiFi is a dual-band wireless system and it does not seem to have implemented the MU-MIMO technology. The main advantage that this tech can give to the other systems is the ability to serve multiple clients at the same time, instead of letting them compete for the bandwidth (the one-at-a-time approach). 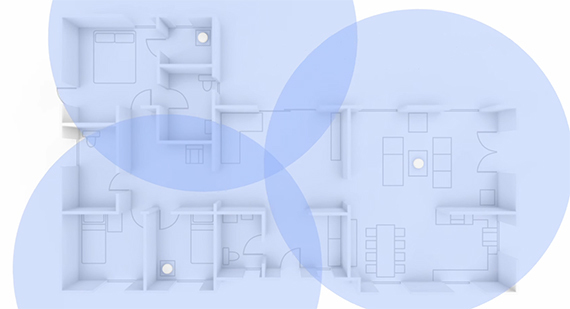 The MU-MIMO is used on both the Velop and Orbi as a way to connect the nodes (and satellites) to each other (or to the main router) and at the same time it allowed devices with compatible wireless adapters to take advantage of this feature. 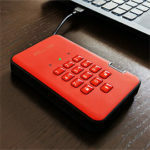 Unfortunately, there aren’t many MU-MIMO compatible devices on the market, so right now, it can not be used by a large majority of the population (the feature still being more exotic than useful). On the plus side, the Google WiFi uses automatic band steering, so devices are automatically moved between the 2.4 and the 5GHz networks (based on the signal strength, bandwidth available and other filters) and it also uses client steering, which means that devices are automatically assigned to the best nearby node (this ensures for a seamless transition when moving around the house). For these two features to function properly, Google has made it mandatory that the two radio bands can’t be separated (you will have only one network).